Since the dawn of time humanity have searched for the reason behind natural phenomena that they have been unable to understand. Natural disasters – volcanic eruptions, earthquakes, floods and tsunamis, tornadoes and hurricanes – have occurred throughout history and, without scientific explanations, people have created myths and legends to make sense of these destructive forces of nature. 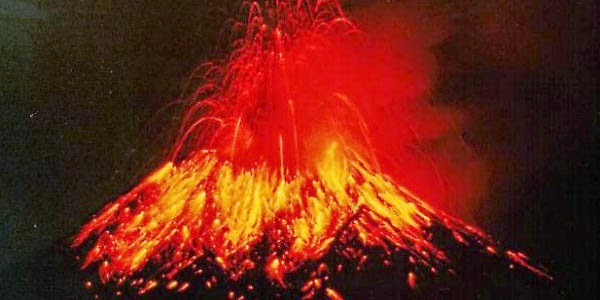 The word ‘volcano’ can be traced back to the island of Vulcano in the Mediterranean Sea. The Romans believed Vulcano to be the chimney of Vulcan’s workshop. 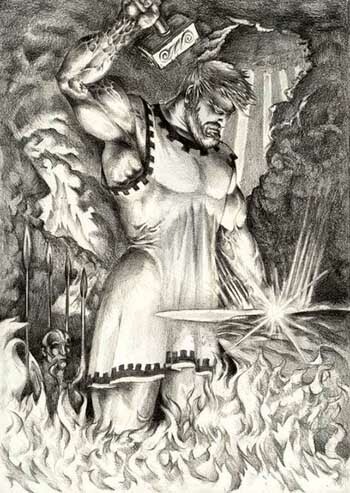 Vulcan was said to be the blacksmith of the gods, as well as the god of fire, and it was believed that the hot fragments and lava, smoke and gas were created as he beat out the thunderbolts for Jupiter, king of the gods, and weapons for the god of war, Mars. In Hawaiian mythology, there is Pele, or ‘She-Who-Shapes-The-Sacred-Land’. The people of Hawaii created the following legend to explain the origin of Pele and volcanoes. Pele’s story is that of wander-lust. 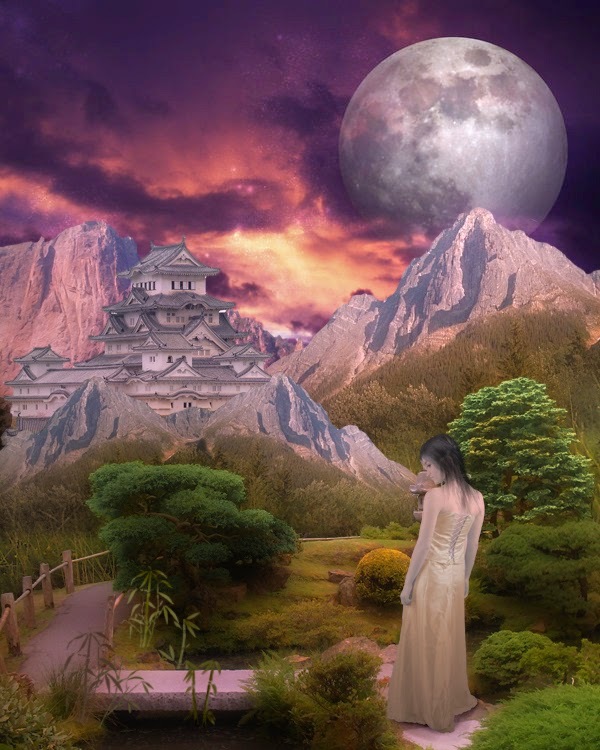 She was living in a happy home in the presence of her parents, and yet for a long time she was ‘stirred by thoughts of sar-away lands.’ At last she asked her father to send her away. This meant that he must provide a sea-going canoe with mat sails, sufficiently large to carry a number of persons and food for many days. “What will you do with your little egg sister?” asked her father. Pele caught the egg, wrapped it in her skirt to keep it warm near her body, and said that it should always be with her. Evidently in a very short time the egg was changed into a beautiful little girt who bore the name Hii-aka-i-ka-poli-o-Pele (Hiiaka-in-the-bosom-of-Pele), the youngest one of the Pele family. After the care of the helpless one had been provided for, Pele was sent to her oldest brother, Ka-moho-alii, the king of dragons, or, as he was later known in Hawaiian mythology, “the god of sharks.” He was a sea-god and would provide the great canoe for the journey. While he was getting all things ready, he asked Pele where she was going. She replied, “I am going to Bola-bola; to Kuai-he-lani; to Kane-huna-moku; then to Moku-mana-mana; then to see a queen, Kaoahi her name and Niihau her island.” Apparently her journey would be first to Bola-bola in the Society Islands, then among the mysterious ancestral islands, and then to the northwest until she found Niihau, the most northerly of the Hawaiian group. The god of sharks prepared his large canoe and put it in the care of some of their relatives, Kane-pu-a-hio-hio (Kane-the-whirlwind), Ke-au-miki (The-strong-current), and Ke-au-ka (Moving-seas). Pele was carried from land to land by these wise boatmen until at last she landed on the island Niihau. Then she sent back the boat to her brother, the shark-god. It is said that after a time he brought all the brothers and sisters to Hawaii. Pele was welcomed and entertained. Soon she went over to Kauai, the large, beautiful garden island of the Hawaiian group. 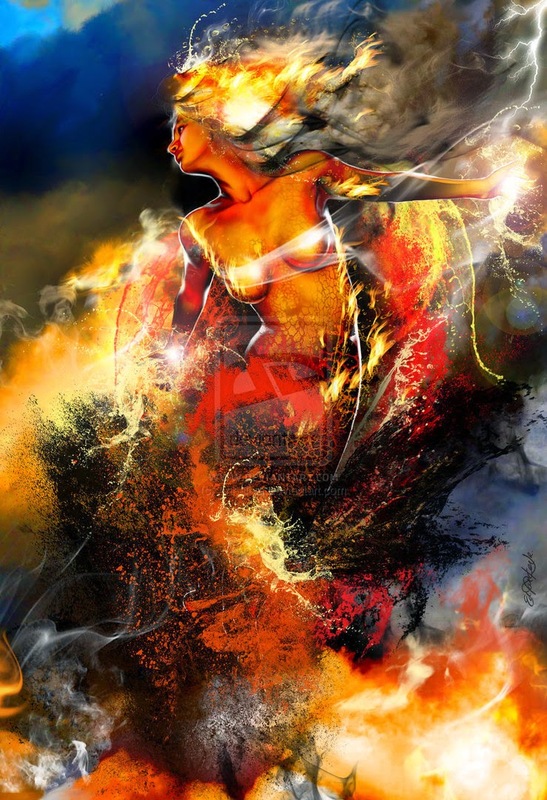 There is a story of her appearance as a dream maiden before the king of Kauai, whose name was Lohiau, whom she married, but with whom she could not stay until she had found a place where she could build a permanent home for herself and all who belonged to her. She had a magic digging tool, Pa-oa. When she struck this down into the earth it made a fire-pit. It was with this Pa-oa that she was to build a home for herself and Lohiau. She dug along the lowlands of Kauai, but water drowned the fires she kindled, so she went from island to island but could only dig along the beach near the sea. All her fire-pits were so near the water that they burst out in great explosions of steam and sand, and quickly died, until at last she found Kilauea on the large island of Hawaii. There she built a mighty enduring palace of fire, but her dream marriage was at an end. The little sister Hiiaka, after many adventures, married Lohiau and lived on Kauai. The Japanese have personified Mount Fuji with the creation of Fuji-San, the sacred spirit mountain, which is a powerful symbol of Japan. According to a popular Japanese myth, Mount Fuji was a benign mountain when it was created in 286BC. This, however, changed with the arrival of Kaguyahine or Kaguyahime. Many years ago, an old man discovered a baby on the slopes of Mount Fuji – a little girl whom he called Kaguyahine and raised as if she were his daughter. She grew into such a beautiful woman that the Emperor himself fell in love with Kaguyahine and married her. She lived with him for 7 years but after this told him that she wasn’t human and had to return to heaven. So Kaguyahine gave the Emperor a mirror which always showed her face and left for her home in the sky. The Emperor was heartbroken and began to climb Mount Fuji in an effort to join his wife in heaven, believing that the mountain could take him there. But, upon reaching the summit, he failed to find Kaguyahine and the love he felt was so immense that it burst from his chest as a brilliant fire which lit the volcano. And from then on, smoke rose from Mount Fuji. The Maori of New Zealand also have a collection of legends about there volcanoes. 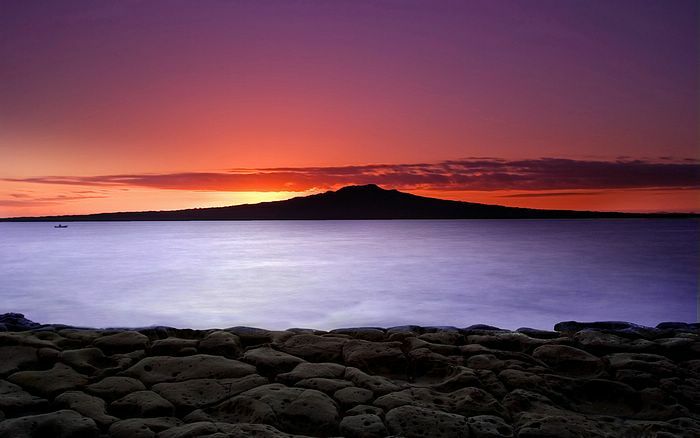 One such legend relates the tale of Pupuke Moana, a mythical mountain which was said to be located on the shore north of today’s Auckland and the island of Rangitoto. In the days of yore, in times long passed away, when the mana of our ancestors was in full force, there dwelt a tribe of giants on the coast between the Mauuka (Manukau) Heads and Kaipara Heads. These folk employed their spare time in playing strange games, and in performing amazing feats that are a wonder to men in these times. This they were in the habit of throwing huge stones from hill to hill, and casting rocks about for mere sport. At that time there stood a conical hill north of the Karekare creek, a hill composed of rock that stood near the coastal cliffs. One of the most famous of these powerful men of old was asked if he could move this hill, whereupon he pulled it up bodily, as you would pull up a plant, carried it across the Titirangi range, across the Waitemata at Takapuna, and deposited it between Takapuna and Motutapu, where it may still be seen, bearing the name of Rangitoto. The hollow whence the hill was taken still yams open to the gaze of man at Karekare, and the name of that hollow is Te Unuhanga o Rangitoto. created the legend of Llao and Skell. Llao, the master of everything living under the earth and water, dwelt in the fiery pit where Crater Lake now lies, and this was the only place he could come to the surface of the earth. Skell was master of all the animals that lived on the earth. Both were in love with the daughter of the chief of the Klamath Indians and both asked for her hand in marriage and were refused because her father was rearing her to be chief of the tribe when he died. Llao felt wronged when he was refused her hand and returned to his home on Llao Rock and brooded. Skell understood and pledged his help to the Indians if they needed it. Then Llao commanded the chief to deliver his daughter to him in three days, or seven days of death and destruction would be launched against the Indians. The girl wanted to sacrifice herself for her people, but they wouldn’t let her. They tied her in her tent and lay face downward awaiting destruction. Skell started to help the Indians, but Llao, seeing him go, hurled a flaming boulder across the skies and struck him dead. Then Llao’s children took Skell’s heart from his body and brought it to their father. All of Skell’s children gathered at a fountain where he drank and bewailed his fate. Llao sent a messenger to them proclaiming himself lord of everything above earth as well as underneath it. Taunts greeted them as they arrived, and the weasel, brother of Llao, ran to the ballground with Skell’s heart and began to toss it into the air. The coyote followed him to the ballground and began to chide him for not being able to throw it far. Other animals tried to toss it too but the coyote chided them all for not being able to throw it high into the air. Finally, Llao became angry at his taunts and stalked out and hurled it far into the air. It soared and soared and finally came to the ground on the far end of the baseball ground. The fox, who was hidden near, snatched it and rushed into the forest. As Llao’s children were about to catch the fox, the antelope burst through the throng and took the heart and rushed on with it. The eagle swooped down and, taking the heart from the antelope, flew out of sight with it. A voice of a dove, sounding from a great distance, told them Skell lived again. “But you will grant me this one last wish,” pleaded Skell. Llao freed one of his hands and Skell pulled out his knife and cut off Llao’s head. Then he sent word to Llao’s children that Skell had been killed. They gathered around the pit beneath Lao’s throne and ate the pieces of their master as they were thrown down to them. But when their master’s head was tossed over, they were grieved and would not touch it. It remains today where it was thrown and is known as Wizard Island. 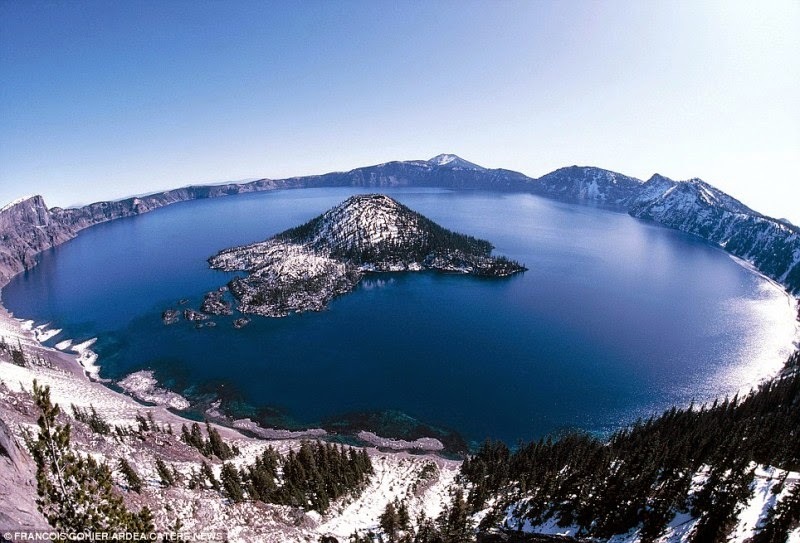 Then the pit grew dark and the children wept, their tears falling into the dark pit which is today known as Crater Lake. The Aztecs named the volcanoes that surround the Valley of Mexico after their gods. Popocatepetl and Iztaccíhuatl, which lie to the east of the valley, were once worshipped as deities and inspired the following legend. When Popocatepetl (Smoking Mountain) returned victorious from war to claim his beloved, his enemies sent word ahead that he had been killed. 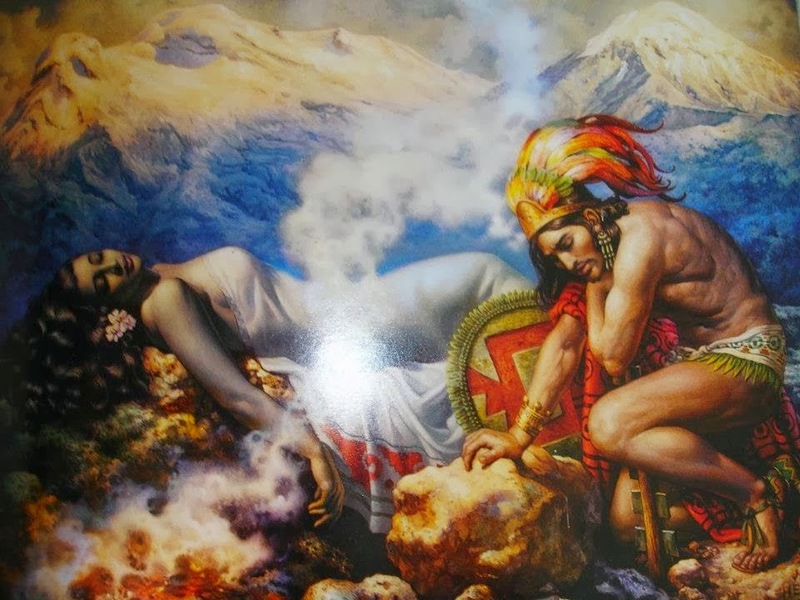 Princess Iztacchiuatl (Sleeping Woman) died of grief. Popocatepetl then built two great mountains. On one he placed the body of Iztacchiuatl; on the other he stands eternally, holding her funeral torch. In Iceland, Katla is hidden beneath the Solheimajokull glacier. 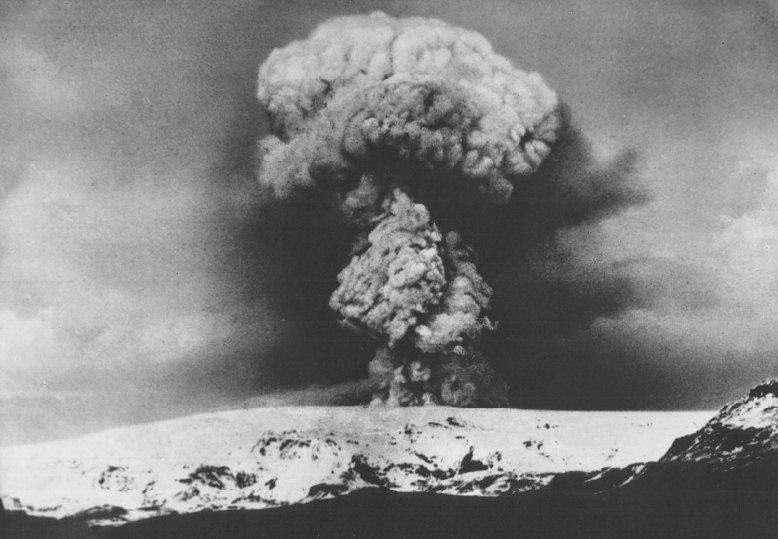 To the locals, this volcano is known as the witch Katla, and inspired the following legend. Once it happened that the Abbot of the Monastery of Thykkvabæ had a housekeeper whose name was Katla, and who was an evil-minded and hot-tempered woman. She possessed a pair of shoes whose peculiarity was, that whoever put them on was never tired of running. Everybody was afraid of Katla’s bad disposition and fierce temper, even the Abbot himself. The herdsman of the monastery farm, whose name was Bardi, was often dreadfully ill-treated by her, particularly if he had chanced to lose any of the ewes. One day in the autumn the Abbot and his housekeeper went to a wedding, leaving orders with Bardi to drive in the sheep and milk them before they came home. But unhappily, when the time came, the herdsman could not find all the ewes; so he went into the house, put on Katla’s magic shoes, and sallied out in search of the stray sheep. He had a long way to run before he discovered them, but felt no fatique, so drove all the flock in quite briskly. Shortly after this, dreading that the murder should be found out, and that she would be comdemned to death, she took her magic shoes, and ran from the monastery to a great ice-mountain, into a rift of which she leaped, and was never seen again.